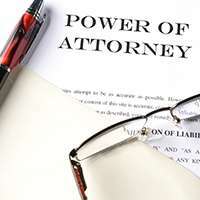 Figures published by the Office of the Public Guardian have revealed a 14-fold increase in the number of applications for a Lasting Power of Attorney (LPA) over the last 10 years, accompanied by less than a threefold increase in the number of disputes. The twelve months to April 2018 saw 759,976 applications to the Office of the Public Guardian (OPG) for LPAs, compared with 52,492 10 years earlier. Over the same 10-year period, the number of orders under the Mental Capacity Act, enabling people to dispute decisions taken people appointed as attorneys increased from 16,407 to 38,945. Meanwhile, the figures also showed that women made around 60 per cent of LPA applications. LPAs can be made in respect of decisions relating to health and welfare and property and financial affairs. Individuals can choose to apply for either or both forms of LPA.